Social video platform Twitch today announced it will host a free 18-day, 886-episode marathon of the beloved PBS KIDS series Mister Rogers’ Neighborhood, from The Fred Rogers Company. 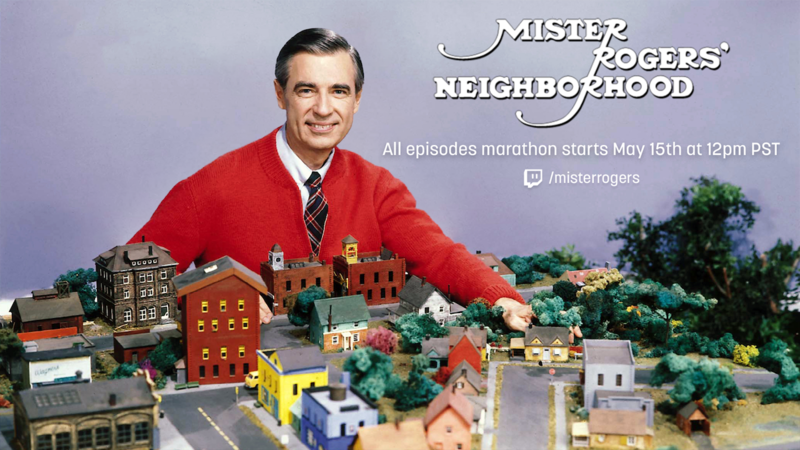 This shared viewing experience on www.twitch.tv/misterrogers starts on May 15th at 12:00pm PT and ends on June 3rd. The marathon features the most comprehensive collection of episodes available, including many that have only aired once and are unavailable elsewhere online. Twitch will also run a fundraising campaign, during which viewers will be encouraged to show support for their local PBS station.